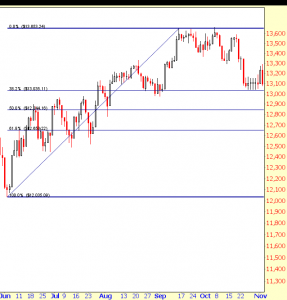 Fibonacci Trading is based on using a widely used leading technical indicator called Fibonacci retracements. Fibonacci retracements can be used across all types of securities whether it be futures, stocks, or Forex and can be applied to any timeframe on a chart whether you are a short term or long term trader. Fibonacci retracements originated from Leonardo Fibonacci in the 12th century and are based on the Fibonacci Numbers. In summary, Fibonacci retracements state that out of a large move, price will retrace that move by a certain percentage before continuing in the direction of the original move. The mean average for these retracement moves is 61.8% and is known as the Fibonacci Golden Rule. This golden rule was derived by Fibonacci from his study of the consistent patterns evident in nature and life and has been successfully applied to stock charts as a popular leading indicator for evaluating predicted future moves and expected support/resistance levels. Personal Side Note: I try not to get too caught up using lots of indicators but the use of basic Fibonacci levels can very accurate and useful especially with established trends for new entry points. The way to apply to fibonacci retracements is to start at the the low of the move and stop at the exact top of the trend. Most charting programs(and brokerage chart platforms) will provide Fibonacci retracement studies so that they are calculated automatically for you. 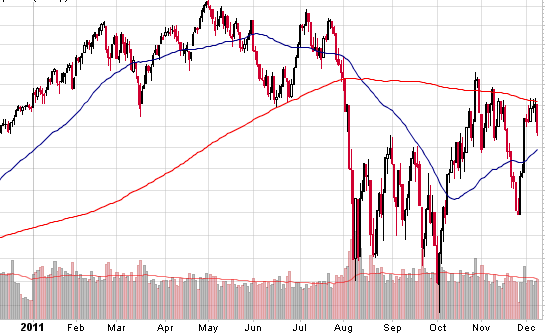 An example is in the chart to the right of the Dow Jones Industrial Avg. 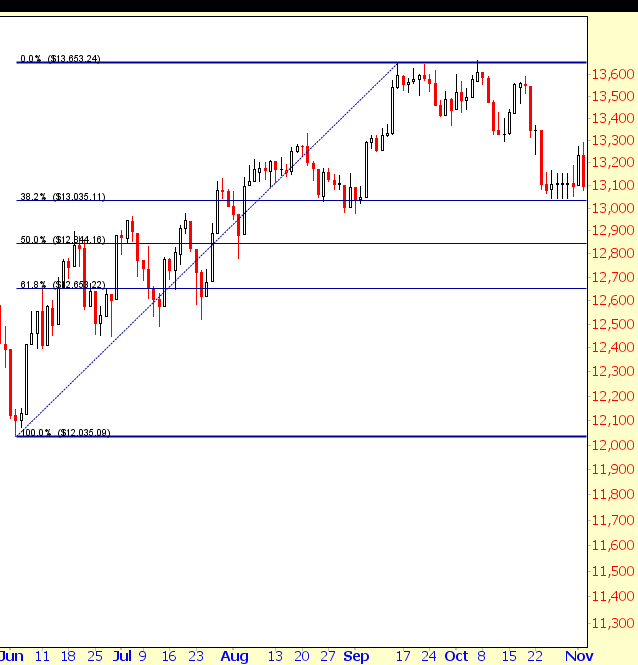 where you start the Fibonacci drawing from the low of the major move (June 4, 2012) and end at (September 14,2012). You can see the stock has retraced at the 38.2% level. The longer the timeframe of the move, the more relevant or significant are the fibonacci retracement levels. 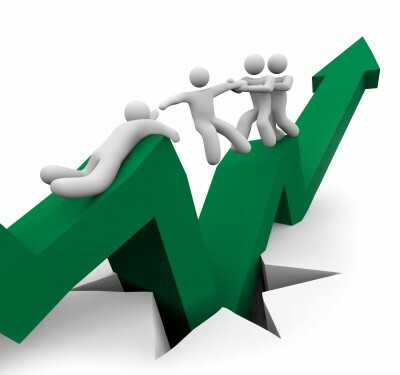 Generally when a stock is in a defined uptrend and is pulling back, it is considered a healthy(or normal) pullback to the 38.2% level (or even the 50% level) especially at the beginning of a newer trend. Some stock will retrace to the 61.8% level depending on how big(and long) the prior uptrend has been, but it can be a warning sign after a stock has been in an uptrend for a while and could be weakening. It is important to watch how the stock reacts at the 61.8% level and it if bounces back up quickly of if it just has a weak low volume bounce. If a stock breaks that 61.8% levels then it is generally considered to have broken that prior trend and it has a higher likelihood of retracing to the 100% level and the prior support retracement levels(50% and 38.2%) will now act as resistance levels. As you can see from the video when I did it AAPL has bounced at the 61.8% level that day but I mentioned that it can be a sign of weakness after a stock has made a big run to retrace all the way to the 61.8% level and it would need to bounce strongly. On October 26,2012 AAPL did bounce on volume at that level but the next day it was weak and showing it could potentially move lower. Once it broke the 61.8% level it was sign that we would be testing lower prices and potentially retracing to the 100% level. Draw out the fibonacci lines for the major move and watch those main retracement levels. If it is a newer trend and the stock is pulling back then 38.2% should be a possible entry level and area of support. Some stocks will pullback to the 50% level and it will still be considered healthy. It is all relative to how big and long the recent trend has been for the underlying stock you are evaluating. A strong trending stock doesn’t usually pullback past 50% but if stock does pullback to 61.8%(aka 62%) level then watch out and see how it reacts at that level. It that level is broken then the trend is viewed as broken. Overall, Fibonacci levels can be great leading indicators for expected support and resistance levels and are useful for implementing in your trading. See update video below on 12/14/2012 to the AAPL video that I posted above in this post to show you what happened. Did You Make Money in The Stock Market in 20XX ?